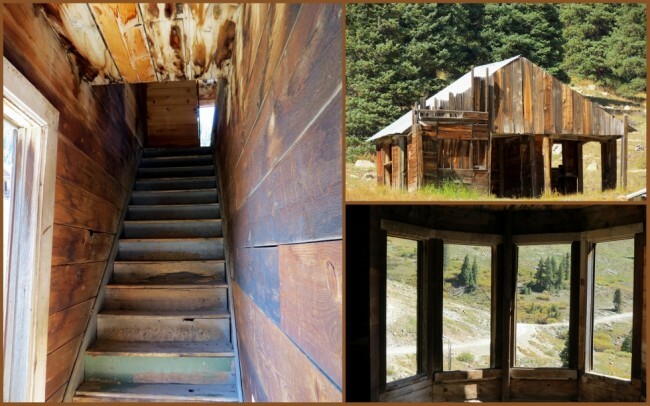 One of the great things about exploring the Old West is finding unique places with interesting histories. 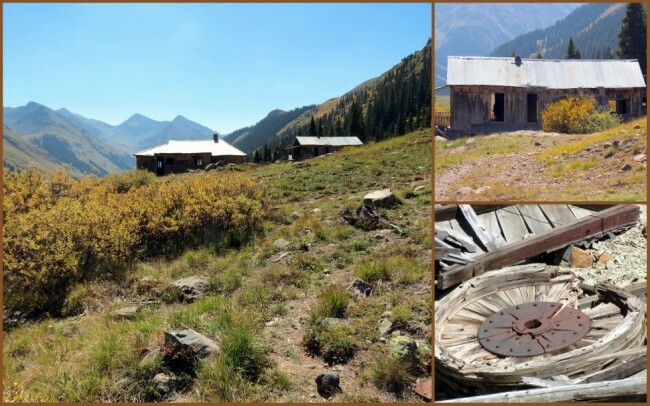 Located on Colorado’s 65-mile long Alpine Loop Road, Animas Forks is one of those places. This is one site that Jeff and I decided we had to see. 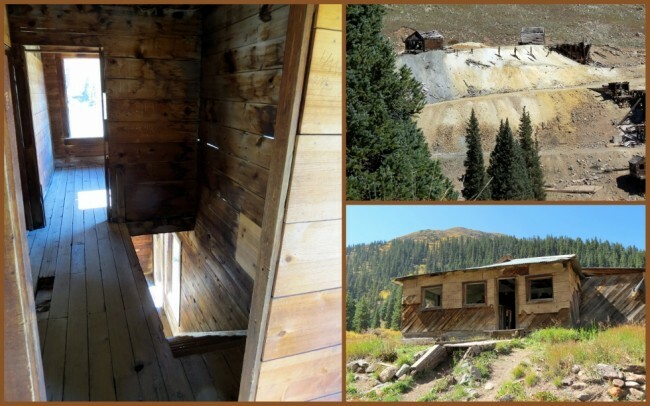 Established in 1873, with the first log cabin being raised by 1876, animas Forks was a bustling mining town sitting at 11,200 feet above sea level in an impressive mountain valley. By this time there were 30 log cabins, a general store, saloon, hotel and Post Office. In 1882, America’s highest-elevation newspaper the “Animas Forks Pioneer” began publication and remained in business until 1886. In 1883 the town was home to 450 people. 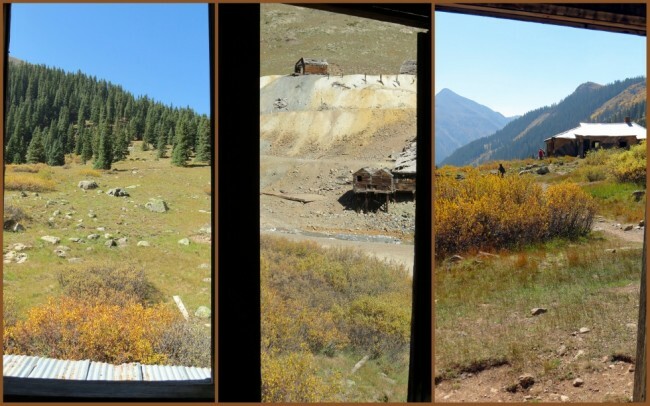 Due to it’s elevation, Animas Forks was not the place to “winter” so the whole town migrated to nearby, and more importantly, relatively warmer Silverton in the Fall. In 1884 the town was buried under 25 feet of snow during a 23 day blizzard. Residents had to dig tunnels to go from home to home. The town remained profitable until the end of the century when investors began leaving. 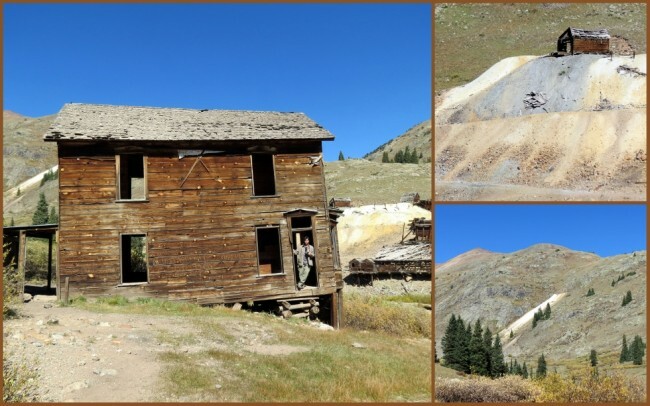 Animas did have a brief resurgence in 1904 with the development of the Gold Prince Mill, but the town’s days were numbered, as it finally closed down in 1910 and in 1917 the parts from the Mill were taken to a new facility in Eureka. 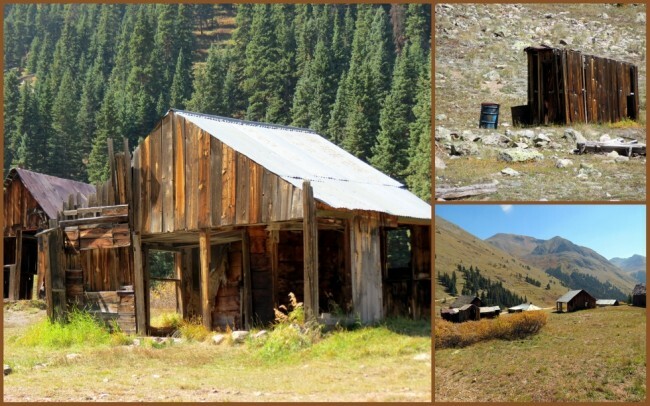 Animas Forks was a ghost town by 1920. Today’s visitor will approach via a steep and winding gravel road which takes you up and up into Animas Forks. The site is maintained as a tourist attraction. 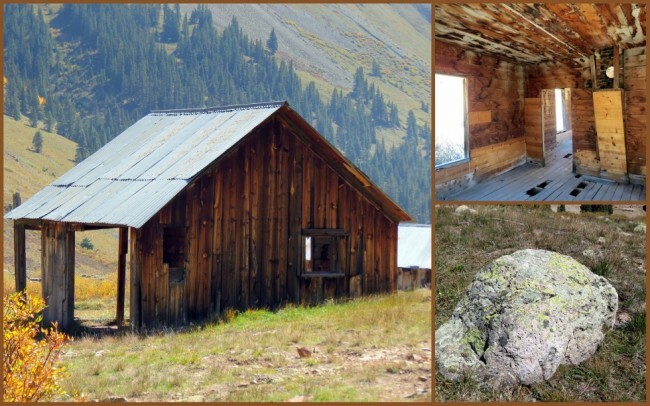 The remaining structures were stabilized in 1997 and 1998 thanks to a grant from the Colorado State Historical Fund to San Juan County, in cooperation with the Bureau of Land Management, who jointly manage the area today. While exploring the site, be advised that many of the floors in the old structures are somewhat dilapidated and fragile. Use caution when walking in the buildings. One interesting note, take time to really study the exterior of these buildings, if you have a good eye you’ll be able to see that many are now “tilting”.